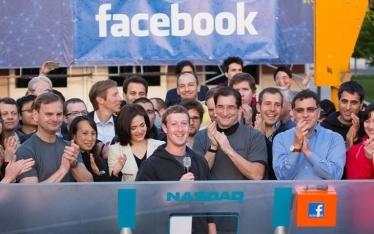 For over a week now, Facebook’s messy IPO has dominated the business page headlines. A question that rarely gets asked in all this kerfuffle: what impact will this IPO have on musicians? As key influencers and creators of one of the most sharable and valuable types of content, musicians have been crucial players in the rise of social media platforms. But are they benefiting? Before last week, as a privately held company, Facebook was accountable only to its directors and investors. As a publicly traded concern, Facebook now has a fiduciary duty to keep the value high for all stockholders — some of whom are already quite unhappy. Many observers have suggested that Facebook’s valuation of over $100 billion at the time of last week’s IPO was wildly inflated. We’ll leave that assessment for Wall Street, but there’s one thing we can know for sure: to keep its valuation high, Facebook is going to be doing its darnedest to extract more value from every user; this could very well mean more money from musicians and more money from their fans. Even before the IPO, we’ve seen this happening in gradual changes to Facebook’s functionality — changes that musicians may not appreciate. Facebook has gradually eliminated certain free means of communicating directly with fans, supplementing them with new avenues of communication that they can bill you for. It’s more subtle than charging you for a service that used to be free, but the principle is roughly the same. For example, Facebook has quietly eliminated your ability to send a message directly to the inbox of everyone invited to an event — so there’s no free way to remind everyone that your gig is happening tonight. At the same time, you can now pay for “sponsored stories” and “promoted posts” to increase the likelihood that your content will show up in the live feeds of your fans and their friends. Ultimately, Facebook’s business model is built on selling access to information about the demographics and taste preferences of its users, for direct advertising and other marketing purposes. That means they are selling information about the people who like your band; there’s no real way of opting out. Anyone can, of course, choose not to have a Facebook account or maintain an official page. But then Facebook users who identify themselves as a fan of your band will still get linked to a “community page” or an unauthorized fan-run page, and Facebook will monetize that association any way they can. This can be annoying for artists who object on principle to Facebook’s business model of selling aggregated personal information to advertisers and marketers — they’ve made it impossible to not be complicit. Of course, many artists find these tools quite useful, or at least difficult to abandon, especially considering their relative simplicity and the potential audience of 800 million users. Third-party apps like Bandpage, ReverbNation, and Fanbridge can help sell merchandise and harvest data like email addresses, making it easier to connect with fans freely outside of the Facebook lockbox. Then again, Facebook’s new Timeline format has removed the ability to redirect fans to a default landing page other than the Timeline, resulting in a much less elegant user experience. That extra click your fans have to make before they can stream your music is an opportunity to display more ads. Some observers are quick to categorize successful social media platforms as a uniformly good thing for musicians, but while it’s easier for artists to connect directly with fans, it’s less clear that this has translated to increased revenue. For some musicians, investing time and energy into social media has paid off. Others conclude that it’s not worth the expenditure. As businesses grow and functionality changes, the value proposition offered by these platforms changes as well, so it’s important that we continue to ask critical questions about how well musicians’ interests are being served. Especially when certain companies are being valued so highly on Wall Street. Submitted by Tom Weber (not verified) on May 25, 2012 - 11:47am. I have been using Events on Facebook to promote a series of small screenings of my film Troubadour Blues. The event creation process was never great (having to invite friends individually, inability to harvest new contacts from the people who join), but at least you could send a message to guests for an event. Now FB has taken that functionality away. It's only a matter of time before they start charging for events listings. I'm sticking with my own webpage as my primary means of contacting fans, and will continue trying to direct as many people there as possible. It's my feeling that Facebook is eventually going the way of MySpace: people will tire of the commercialism and endless tinkering with format, and will abandon the service. a well written piece. thanks! Submitted by jarrod (not verified) on May 25, 2012 - 12:21pm. Submitted by R. C. Beckom (not verified) on May 27, 2012 - 2:00pm. every little group has dreams of becoming a big hit, advertise, advertise, advertise, promote, promote,promote, all events, to those who want to become known, and have some type of financial backing, this will not matter, but it will matter to those who have no financial backing to expose themselves, there will have to be another way of allowing them to become exposed to in type of payment manner. Submitted by DukeofWild (not verified) on June 4, 2012 - 3:05pm. I'm just starting to get my act together to push my music, initually via youtube, but like previous poster...will rely on personal site. FB does seem to be forever changing and just today got an ad for pay to promote..No thanks. Self promotion is where its at imo...and to get by as inexpensivly as one can. To be our own record companies...wow, what a concept. No more dropping tapes off at a mystery publisher or record Co. holding your breath for a phone call. The future is here. Now...to figure it all out.